In Spanish 2 we have to talk about what they were like when they were little and I don’t mind one bit! I loooove talking about what they used to play and where they would go and who they used to fight with. They’re just so much to talk about and my high schoolers love to reminisce about the good old days. I ask my kiddos to bring in a picture of themselves when they were little (ages 3-8 works best) and I put them into a power point. First we guess who the picture is and then I do a PictureTalk, basically the teacher asks a lot of questions and describes what’s happening in the picture, with the goal of giving them lots and lots of comprehensible input. All the skills you use to tell stories, use to talk about a picture: speak slowly, stay ‘in bounds’, elicit student responses… It’s fun and the students enjoy seeing each other’s pictures and talking about them. We talk about 3 or 4 pictures a day and I stretch it out for a few weeks. Not a new idea, at all, but it is so fun. And I really like picturing my high schoolers as 6 year olds. 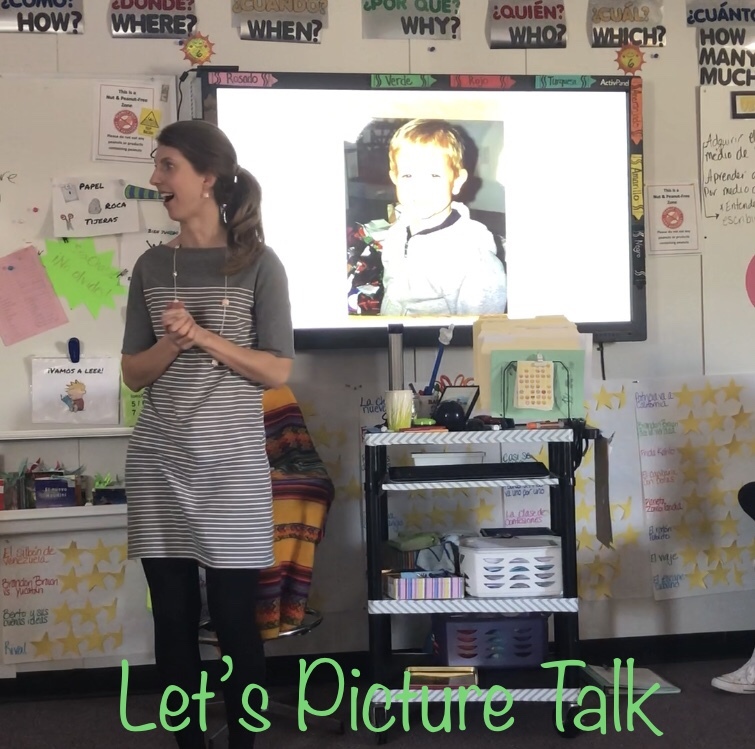 If you’re new to Comprehensible Input or PictureTalk here’s a video of me “Picture Talking” a baby picture in a Spanish 2 class. Holy smokes….I get excited and talk waaay too fast in some spots! Slow down, Señora Chase! It’s not a race!